Arcinova has been spearheading the use of new intensive manufacturing technology processes to support the rapid development of pioneering drugs for the treatment of life-threating illnesses including cancer. As a result of its innovative approach, Arcinova – which works with a range of biotech and pharma companies – has more than doubled its customer base to 125 in the past two years, generating revenue of close to £9m. The company was founded in 2016 by serial entrepreneurs, Professor Ian Shott CBE (CEO), and Paul Ryan (CFO), after the acquisition of a 15,000m2 contract research facility in Alnwick, previously owned by Covance. 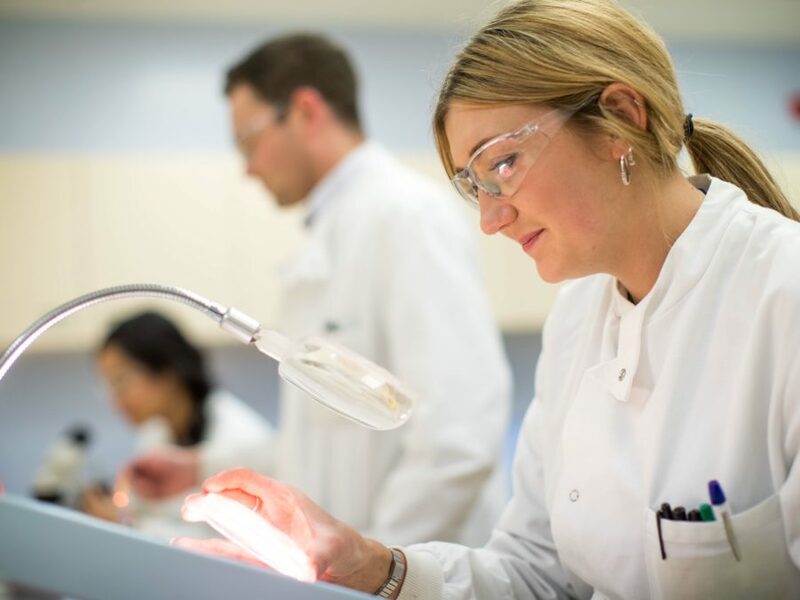 Since then, the team has extended the facility’s capabilities into Active Pharmaceutical Ingredient (API) manufacture and has brought together a range of specialisms including drug substance synthesis, formulation and manufacture as well as bioanalytic, metabolism and radiolabelling services. The facility is now one of the most technically advanced of its kind in the UK, with growing capacity to take on more work from both existing and new customers. Professor Shott has been heavily involved in promoting clean and efficient chemistry and biotechnology processes to minimise the environmental impact of drug development and manufacture, and help pharmaceutical companies take potentially transformative new medicines through clinical development quickly and effectively. He is visiting Professor at Nottingham, Newcastle and Oxford Universities. The group is currently working on a major continuous technology project with Nottingham University, for which it successfully secured grant funding from Innovate UK. BGF, a £2.5 billion investment company, will provide support as a long-term minority shareholder in the business. The initial funding will be used for further investment in the joint-project, as well as new equipment, infrastructure and people in the UK and overseas to further increase capacity. Following an introduction by BGF, the company has appointed Mike Hudson, co-founder of Neuropharm, as non-executive Chair. With broad industry experience, Mike will provide support and guidance to the Arcinova team as it implements its growth plans. This is the second company based in Alnwick to have received BGF’s backing, following its investment in family-owned housebuilder Cussins. BGF, which has made investments in over 220 growing companies across the UK, last month became the first and only investor to have been honoured for Innovation in the Queen’s Awards for Enterprise. Barry Jackson, BGF, said: “Ian and Paul have the ambition and potential to build a modern, state-of-the-art business of significant scale. The deal was led for BGF by Barry Jackson, Rob Johnson and Mark Bryant. Arcinova were advised by Ben Butler and Anna McGill of Womble Bond Dickinson and BGF were advised by Duncan Reid and Kirsty Adamson of Watson Burton. Arcinova’s senior scientific team are renowned for their world class, specialist research and development expertise and their big pharma and CRDO experience gives them extensive, broad ranging industry knowledge and insight. Arcinova works with big pharma, specialty pharma and biotech companies across the globe, from established multinationals to emerging start-ups. BGF is the most active and influential investor in small and mid-sized businesses in the UK. An established and independent company, it has £2.5bn to support a range of growing companies – early stage, growth stage and quoted – across every region and sector of the economy. BGF makes long-term equity capital investments in return for a minority stake in the companies it backs. Initial investments are typically between £2-£10m and BGF can provide significant follow-on funding. BGF is a minority, non-controlling equity partner with a patient outlook, based on shared long-term goals with the management teams it backs. With a 150+ strong team, BGF offers an unparalleled international network of business leaders, sector experts, board-level non-executives and provides in-house support with Chair and senior executive selection and appointments. BGF offers flexible investment structures with a mix of equity and loan notes. BGF can provide equity release for existing shareholders, and funding to support acquisitive and organic growth strategies.